SINGAPORE – This morning’s Community Chest Heartstrings Walk saw close to 8,000 participants, including members of the public, social service organisations and corporate partners who came together to provide opportunities for meaningful interaction among persons with different abilities. It also aimed to show how every person can be empowered to self-advocate, be self-reliant and give back to the community. This year, an increased number of beneficiaries, including persons with disabilities, seniors and youth-at-risk stepped up at the event to volunteer in various roles, such as teaching other participants how to play inclusive games and facilitate interaction. Athletes with different abilities also joined in to exchange sporting tips with event participants. 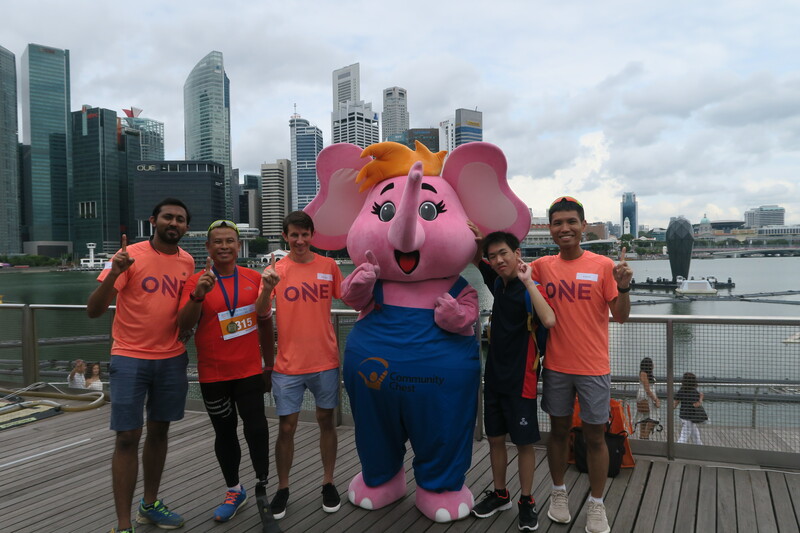 Prolific marathoners (managed by #ONEathlete, a social enterprise), Evan Chee (4th in Singapore Marathon 2016) and Ben Moreau (Commonwealth Games participant, based in Singapore) as well as Md Shariff Abdullah, a para-athlete (affectionately known as “Blade Runner”) with a prosthetic leg, took part in the Fun Walk. They walked alongside 15-year-old Shawn Goh, a special needs student from MINDS Towner Gardens School who participated in the 100m dash at the Special Olympics this year. Diagnosed with a congenital intellectual disability, Shawn has managed to overcome the challenges he faced and pursued his passion for sports. Shawn’s infectious cheery disposition and affectionate demeanour caught onto the other athletes! These athletes demonstrated how sports and social interactions can be inclusive. Other than the Fun Walk, the Sky Vertical Marathon up the Marina Bay Sands, and the family carnival was part of the charity event. 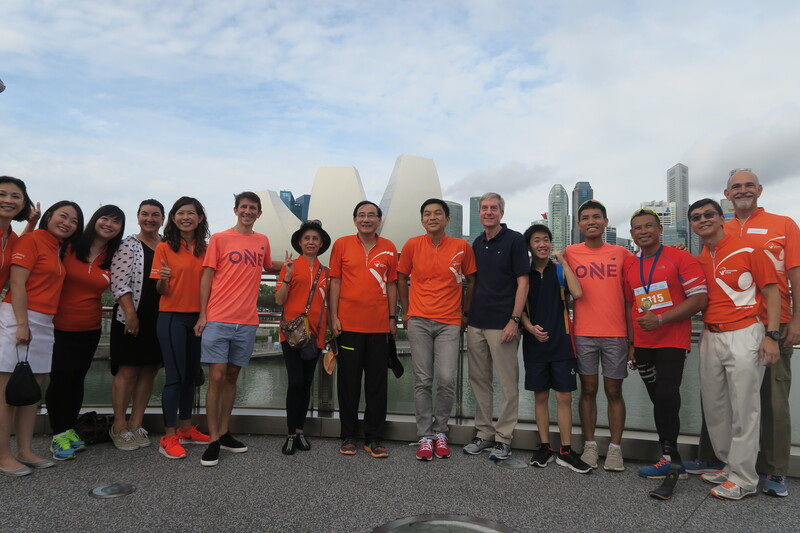 The 4-km Fun Walk along the Waterfront Trail at Marina Bay was flagged off by Guest-of-Honour, Minister (Min) for Social and Family Development (MSF) Mr Tan Chuan-Jin. This is likely to be the last community event for Min Tan, in his capacity as Min MSF. Indeed a suitable swan song, as the event was helmed by the National Council of Social Services (NCSS), a statutory board under the Ministry of Social and Family Development. Min who initiated SG Cares (a national volunteering movement), will be moving onto becoming the 8th Speaker of Parliament in Singapore.